Offering you a complete choice of products which include linear potentiometer, ac current transducer, ac voltage transducers, ac current transducers, loop powered resistance transducers and dc voltage transducers. 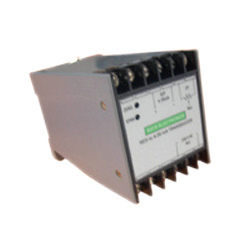 RAYS AC Isolation transducers accepts various AC Inputs depends on the model selected. 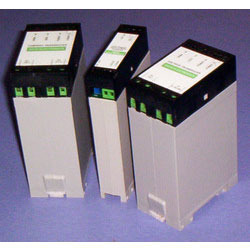 We offer Different AC Input models ranging from 0-1 A AC, 0-2 A AC, and 0-5A AC models with different auxiliary supply. For any higher range use external CT to convert and use it for higher current applications. Output is ripple free , and user adjustable zero and span access control. Transducers are normally factory set for Zero and Span for the Input range ordered. Custom made Specifications done even for small quantity. 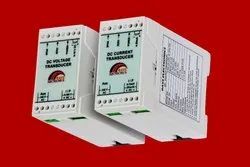 We are one of the eminent names of the business to engage in offering AC Voltage Transducers. Characterized by user adjustable zero and span control, these efficient transducers are applauded for their excellent power ON LED indication. Manufactured in adherence to the set industry guidelines, these devices are efficient in performance and require minimal maintenance. 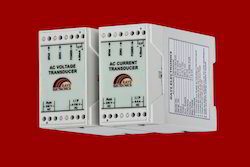 Backed by a team of skilled and experienced professionals, our company brings forth AC Current Transducers. Manufactured in adherence to the set industry guidelines, these devices have enclosures suitable for DIN mounting or flush mounting. To cater to the diversified requirements of clients, we provide the range in several models, based on different auxiliary input range. We are among the trustworthy names of the business to involve in presenting Loop Powered Resistance Transducers that can be availed at reasonable rates. These devices help in reducing the number of wires required in the field. Having excellent linearity, these transducers are equipped with zero and span control, which can be adjusted easily by the user. Before the final dispatch, the series is tested for its performance. 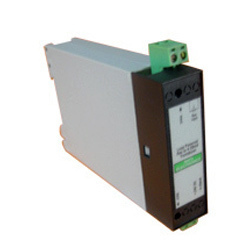 Our company is engaged in manufacturing and exporting a wide array of DC Voltage Transducers. Featuring user adjustable zero and span control, these efficient and operationally fluent devices come with power ON LED indication for all proffered models. To provide excellent quality in the market, we test the entire range on multiple parameters, before delivering. Ours is a renowned name in the business to manufacture and export a wide assemblage of DC Current Transducers. Appreciated for their efficient performance, these reliable transducers accept various DC inputs. The proposed series of DC current transducers is normally factory set for Zero, and Span for the input range ordered. To prevent damages, standardized packaging of the series is offered. Our company is a renowned manufacturer of Loop Powered Resistance Transducers that are tested for the reliability, accuracy and vibration etc. Available in a specific designs and patterns, these Loop Powered Resistance Transducers are widely demanded for their flawless finish and high performance. Our clients can avail these in mere rates. 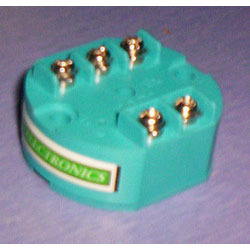 We are instrumental in manufacturing and supplying Aux Powered Resistance Transducers. Made available in numerous models based on input resistance, these sturdily constructed and efficient transducers are extensively popular among our patrons. Tested for its performance and quality, the proposed series is provided in tamper proof packaging, so as to prevent damages caused during transportation.